"Stokbrood" bbq-ing is a great camping tradition in South Africa. Children (and adults for that matter) really love this interactive method of Bread baking and you know what: Nothing beats the taste of Bread baked on the open flame! 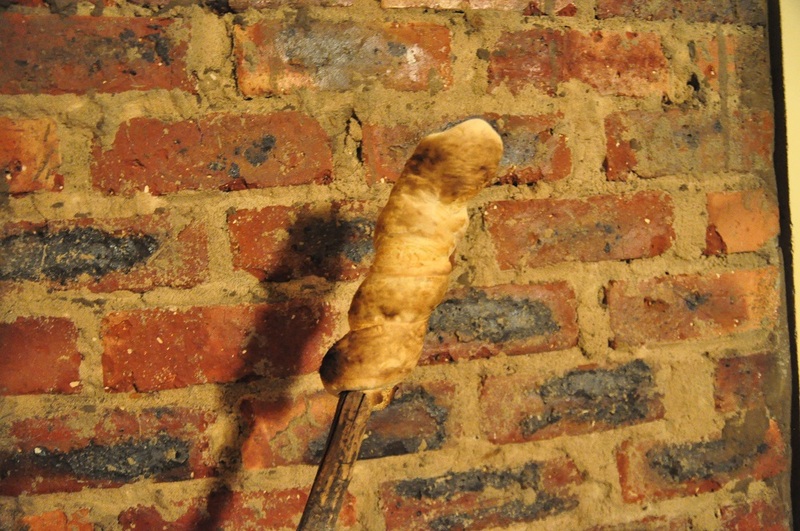 The quality of your stick will eventually determine the quality of your bread. What you're looking for is something fairly straight and long (at least 3 foot) with a thickness of about 1 inch thick. Should be easy enough to forage something in your local woods. 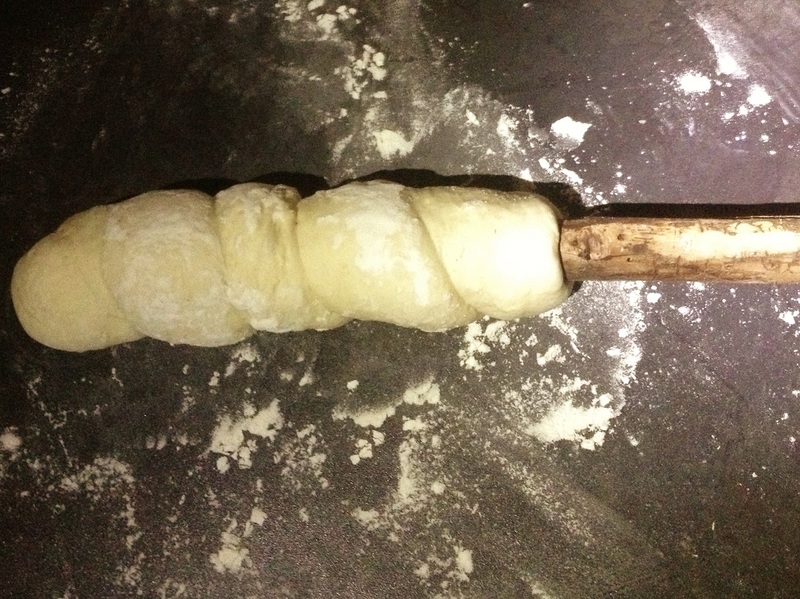 Carve the bark off the point of the stick where you'll be attaching your dough. About 10 inches should do the trick. Pre-Burn the stick on the BBQ to dry it out a bit if it’s a fairly "green" stick. Mix ingredients together and knead for about 10 minutes. Put it in a bowl and cover with cling wrap. Leave in dark, warm-ish space for about 1 hour or until double in size. Step 4 - Let’s get to Bread Stick BBQ-ing! 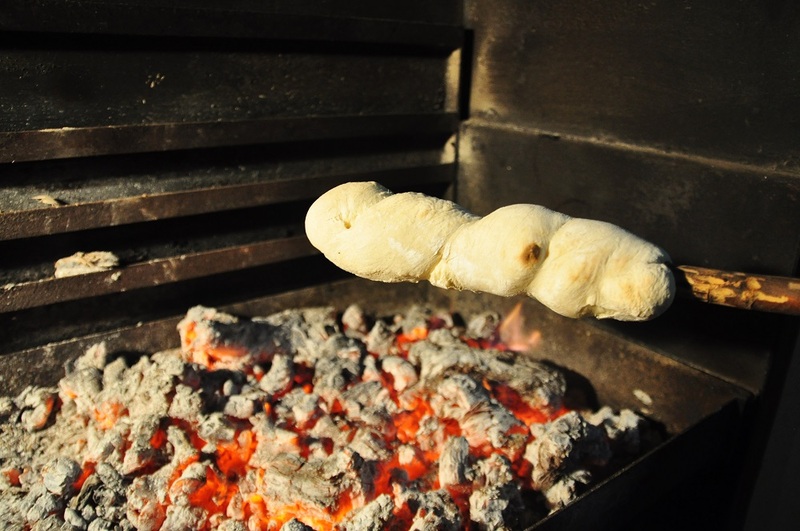 Hold your "Stokbrood" over medium-to-hot coals. Take care that they do not touch the flames, and turn them slowly. Patience is key! After about 15 minutes, when each is golden brown and sounds hollow when tapped, then the "stokbrood" is done. 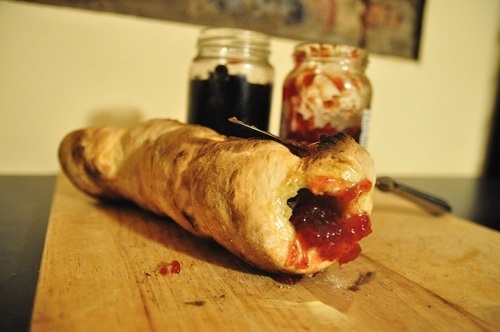 Fill the "stokbrood" hole with "Real" Farmhouse Butter plus Jam and MORE JAM! Strawberry Jam, Apricot Jam, ANY Jam! As longs as its LOADS of jam. You can also fill the hole with some Sausage. Boerewors if you've got, otherwise any tasty sausage you can get your hands on.